What is an IRA account? Gold (and other precious metals such as Silver, Palladium and Platinum) is protection, insurance against inflation, currency corruption, and global uncertainty. But with that said, there are ways that you can lose money with gold. Please read this guide before you invest in gold or other precious metals. Gold fluctuates in price just like other assets. 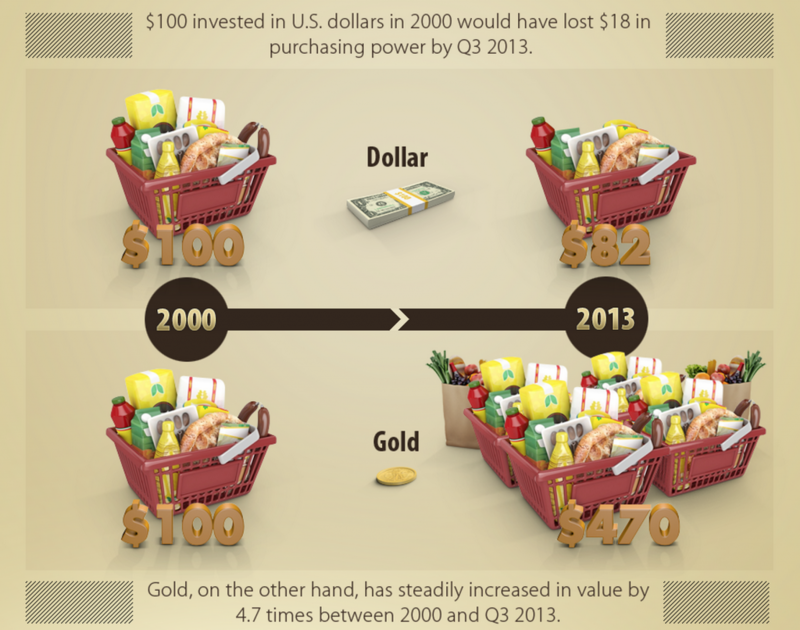 There are periods of time when gold is “expensive” in relation to the U.S. dollar. If you buy gold when it is selling at a high price and then sells it at a lower price, you will, of course, lose money. There is an “opportunity cost” to owning gold as it does not pay interest as bonds, or money market accounts, or savings accounts do. Nor does gold pay a dividend the way many stocks do. Instead, it just “sits there” neither earning interest nor paying a dividend. If an investor owns gold during a period of time when it is not gaining in value (or worse is losing value), the investor will have lost out on the opportunity to earn income from having invested in an alternative asset. When an investor purchases gold, attention needs to be given to how the gold will be safely stored. Storing gold coins in your house is not safe. Some investors use safe deposit boxes (available at some banks) to store gold. 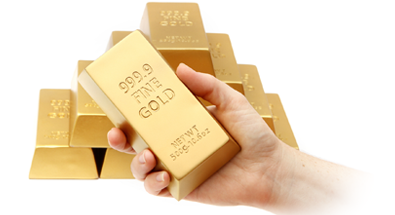 Other investors purchase gold in a manner that does not require taking delivery on the gold. Gold IRA companies, for instance, enables the purchase of gold without having to take possession of it as the gold is stored for its owner. Like most commodities, the price of gold is driven by supply and demand including demand for speculation. However unlike most other commodities, saving and disposal plays a larger role in affecting its price than its consumption. Most of the gold ever mined still exists in accessible form, such as bullion and mass-produced jewelry, with little value over its fine weight — and is thus potentially able to come back onto the gold market for the right price. At the end of 2006, it was estimated that all the gold ever mined totalled 158,000 tonnes. Given the huge quantity of gold stored above-ground compared to the annual production, the price of gold is mainly affected by changes in sentiment (demand), rather than changes in annual production (supply). According to the World Gold Council, annual mine production of gold over the last few years has been close to 2,500 tonnes.] About 2,000 tonnes goes into jewelry or industrial/dental production, and around 500 tonnes goes to retail investors and exchange traded gold funds. Central banks and the International Monetary Fund play an important role in the gold price. At the end of 2004 Central Banks and official organizations held 19 percent of all above-ground gold as official gold reserves. The ten-year Washington Agreement on Gold (WAG), which dates from September 1999, limits gold sales by its members (Europe, United States, Japan, Australia, Bank for International Settlements and the International Monetary Fund) to less than 500 tonnes a year. European central banks, such as the Bank of England and Swiss National Bank, were key sellers of gold over this period. In 2009, this agreement was extended for a further five years, but with a smaller annual sales limit of 400 tonnes. Although central banks do not generally announce gold purchases in advance, some, such as Russia, have expressed interest in growing their gold reserves again as of late 2005. In early 2006, China, which only holds 1.3% of its reserves in gold, announced that it was looking for ways to improve the returns on its official reserves. Some bulls hope that this signals that China might reposition more of its holdings into gold in line with other Central Banks. Chinese investors began pursuing investment in gold as an alternative to investment in the Euro after the beginning of the Eurozone crisis in 2011. It has since become the world’s top gold consumer as of 2013. India has recently purchased over 200 tons of gold which has led to a surge in prices. It is generally accepted that the price of gold is closely related to interest rates. As interest rates rise the general tendency is for the gold price, which earns no interest, to fall, and as rates dip, for gold price to rise. As a result, gold price can be closely correlated to central banks via the monetary policy decisions made by them related to interest rates. For example — if market signals indicate the possibility of prolonged inflation, central banks may decide to enact policies such as a hike in interest rates that could affect the price of gold in order to quell the inflation. An opposite reaction to this general principle can be seen after the European Central bank raised its interest rate on April 7, 2011 for the first time since 2008. The price of gold responded with a muted response and then drove higher to hit new highs one day later. A similar situation happened in India: In August 2011 when the interest rate were at their highest in two years, the gold prices peaked as well. The currencies of all the major countries, including ours, are under severe pressure because of massive government deficits. The more money that is pumped into these economies – the printing of money basically – then the less valuable the currencies become. If the returns on bonds, equities and real estate do not adequately compensate for risk and inflation, then the demand for gold, and other alternative investments (such as commodities) increases. 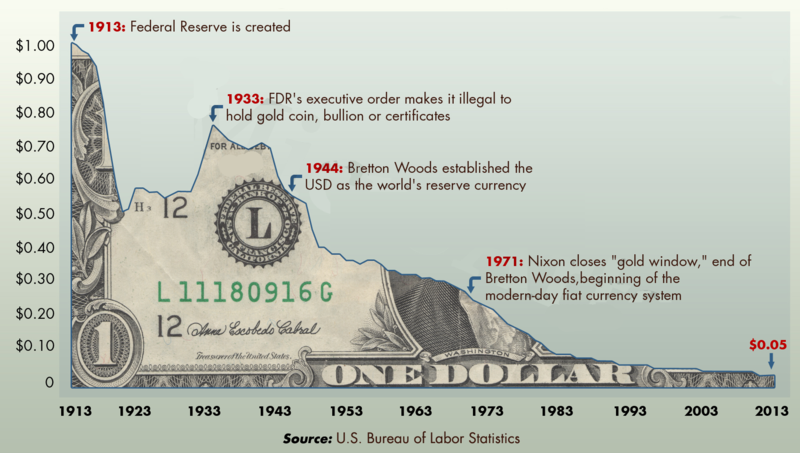 An example of this is the period of stagflation that occurred during the 1970s, which led to an economic bubble forming around investment in precious metals. As such, many experts have come to view gold as a form of portfolio insurance. However, after a period of financial stress, such as the Great Recession, eases conventional investments become more attractive, and gold values may fall. Jewelry consistently accounts for 70%+ of annual gold demand. India is the largest consumer in volume terms, accounting for 27% of demand in 2009, followed by China and the USA. Industrial, dental and medical uses account for around 12% of gold demand. Gold has high thermal and electrical conductivity properties, along with a high resistance to corrosion and bacterial colonization. Jewelry and industrial demand has fluctuated over the past few years due to the steady expansion in emerging markets of middle classes aspiring to Western lifestyles, offset by the financial crisis of 2007–2010. Short selling of gold can be done in either futures markets or physical markets and negative delta positions can be taken in many other derivatives. Trading in futures markets is an important driver of gold prices and this has led to repeated claims of market manipulation, mostly by people who believe that gold prices have been artificially suppressed. These claims center largely around naked short selling, a term usually used for an often abusive practice of shorting stocks without first locating a source to borrow the stocks from. 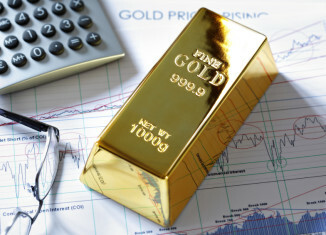 It is not usually used in the context of futures trading for any non-precious metal commodity as a very large percentage of futures trading in any commodity is done by speculators who have no ability or intention to deliver the commodity but intend on closing their positions prior to contract expiration. Bullion is gold and silver recognized as being at least 99.5% pure and is in the form of bars rather than coins. To create bullion the gold must be discovered by mining companies and removed from the earth in the form of gold ore, a combination of mirealized rock and gold It’s then extracted from the ore with chemicals or heat. 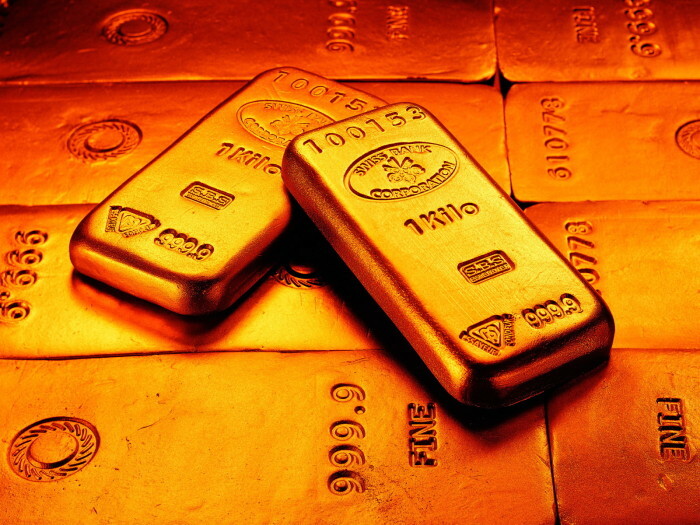 Banks and investors who hold gold typically do so in the form of bullion and is traded in the bullion market. There are two factors influencing the price of gold bullion: 1) Demand from companies that use gold to make and sell jewlry (or other products) and 2) the overall economy. The IRA investment landscape has changed dramatically in the last decade and is not as simple as it once was. 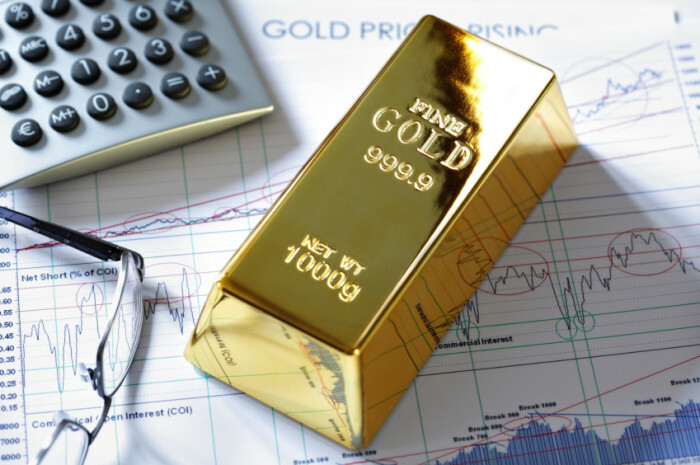 The good news is that the rules regarding gold investment with an IRA have been relaxed and it’s easier than ever to open a gold IRA with a new custodian (or transform your current account). While the market appears to be up in comparison to past years, this apparent fact hides the weakening state of the US dollar. The federal government (The Federal Reserve) has pumped trillions of dollars into the economy since 2008. It’s true that the inflation effect of this money printing has been held back to some extent – But there’s strong reason to believe that the eventual result is inevitable. This makes precious metals (like gold) a powerful hedge against inflation as they can easily depend on it to retain (and even increase) its value regardless of inflation. A large amount of people operate their Individual Retirement Account (IRA) with the belief that they have little to no control and can’t change their custodian without a great deal of difficulty and work. For the majority of investors, that’s not the case. Therein fact many custodians who are willing and prepared to give you the decision-making power in terms of investments. Your custodian can also help manage a transfer (or rollover) from one IRA to another. If it turns out that your custodian is not willing to offer you the opportunity to invest in gold with your IRA you’ll need to make a gold ira rollover. So, what If Your Custodian Does Not Offer What You Need? You may discover that your present custodian is not willing to offer you many opportunities to invest in gold with your IRA. In that case, you will need to make a gold IRA rollover. When you’ve found a custodian willing to take on your account this company will be able to take care of all paperwork. Starting a gold IRA (or investing in other precious metals) is the best way to prepare for an uncertain financial future and will help you retain your wealth for retirement more effectively than any other asset. The Tax Payer Relief Act of 1997 made it possible to diversify your retirement savings by adding gold to your IRA account. It removed the barriers in the U.S. tax law that prevented such investments — giving investors an alternative to traditional IRAs. This law, in addition to other parts of the U.S. tax code, outline the gold IRA rules for backing your retirement savings with gold and other precious metals (like silver, Palladium and Platinum). To invest your IRA in precious metals you’ll need a self-directed IRA. 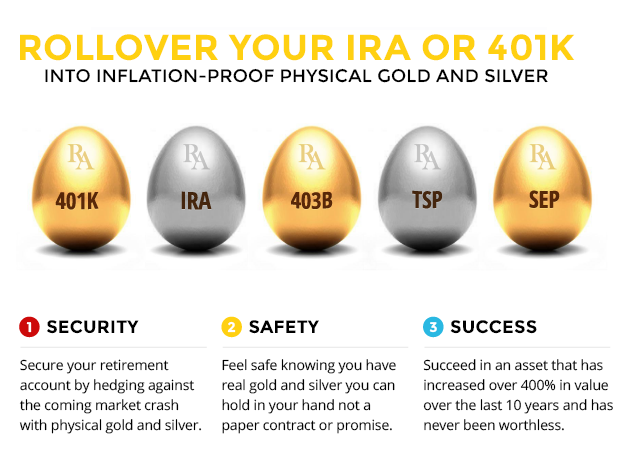 Self-directed IRAs allow you to combine traditional investments with precious metals. The custodian you chose for your IRA will determine your options when it comes time to choose your investments. Some banks offer self-directed IRAs — but only a short list of investment options that may include stocks, annuities and bonds but leave out non-traditional investments like precious metals. If you want to back your retirement savings account with gold or other precious metals you’ll need to find a custodian that let you invest in anything allowed by the 408 of the U.S. tax code (the gold IRA rules). 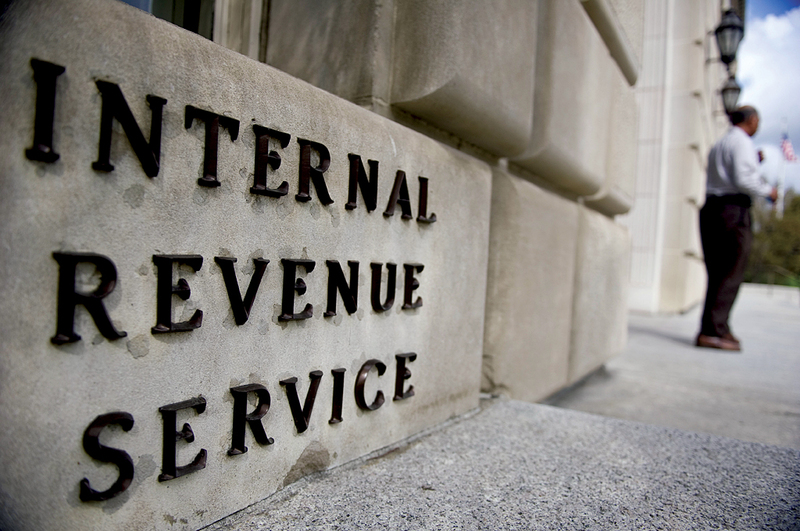 The tax code states that an investor must work through a third-party custodian. There are a number of custodians out there, and it is important to find one that you can trust. Research online, call them to get your own opinion, request more information and make sure you read our Gold IRA company reviews (can be found in the main menu on this website). Gold IRAs have the same tax advantages as a traditional Individual Retirement Account. These advantages allow you to transfer or rollover holdings from a 401K or IRA into a metals IRA without paying taxes on your investments. The rules around gold IRAs are designed to protect you and the possibility and risk of fraud is one of the biggest issues with this type of investment. With that said we believe the key to avoiding fraud is proper research — and be sure that you know what it is you are investing in. The biggest difference in pricing and fees will be if the Gold IRA Company charges a flat or scaled fee. Take a look at this table to understand what happens if you’re maintaining an IRA account with a scaled account fee (Assuming 0.1% account fee). If you’re on a scaled account fee you’ll end up paying 2x to 40x more VS an account with a flat fee. Even if you’re thinking about investing less than $250,000 today your account value will naturally grow due to inflation and appreciation on precious metals. Unfortunately most of the Gold IRA companies have a scaling administration fee schedule which can cost you more as the account value increases. Our advice: Pick a Gold IRA company with a flat annual fee. Regal Assets are ranked #1 by GoldWiki. Read our full review here. Regal Assets offer low, flat annual IRA admin & storage fees. Regal Assets will buy back all precious metals at over the spot price. Regal Assets only recommend Bullion as primary assets for investors like you. 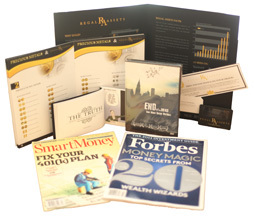 Regal Assets have a special portfolio for $250k+ investment — designed by reliable expertise for each investors to ensure your financial goal achievement based on your needs. We are compensated by the websites we review and recommend. We are independently owned and the opinions expressed here are our own. We only recommend companies and products that maintain the highest standards and whom we have vetted in detail. Gold (and other precious metals such as Silver, Palladium and Platinum) offers protection, insurance against inflation, currency corruption, and global uncertainty. But as with all other investments you could lose money. Please read this guide before you invest in gold or other precious metals. Regal Assets Review – Should you rollover your IRA or 401k with Regal Assets? Important Notes for Those Investing $250,000 or more.